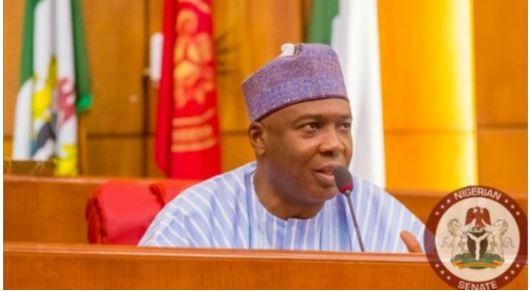 As the 8th Senate lays out its agenda for the next 22-months, President of the Senate, Dr. Abubakar Bukola Saraki, has said that due to the rising tensions in the polity, the passage of Bills to mitigate against hate speech and jungle justice will comprise a major part of the Senate’s social impact agenda when it resumes in September. “At this point in time, when people are heating up the political and social space with their utterances, the Hate Speech Bill will help to mitigate against verbal attacks or expressions against individuals or groups on the basis of ethnicity, religion, and even gender. “This will help to send a clear message with accompanying punitive measures to those negative elements in our society that are fond of distasteful comments that hurt, offend and provoke retaliation,” the President of the Senate said. Saraki also stated that the Anti-Jungle Justice Bill (SB. 109), which is sponsored by Senator Dino Melaye, (APC-Kogi), will also help to curtail, protect and prohibit Nigerians across the country from meting out extra-judicial justice to perceived offenders without recourse to statutory legal channels. “There have been many cases of extrajudicial executions across the nation. We all remember the “Aluu Four” incident, and several other notorious cases of phone and food thieves being set ablaze. We cannot have a situation where people feel that they can take the law into their hands,” Saraki said. He also added that, “Therefore, we must put in place careful stopgaps and penal measures to protect the sanctity of our communities.” The Senate President also stated that the Committee on Judiciary and the Rules and Business Committees of the Senate would work to ensure that Anti-Jungle Justice Bill is quickly passed and sent to the House of Representatives for concurrence.